Nowadays, it's not hard to find Austin condos with plenty of great amenities. Finding luxury condos in a superb location that gives residents the best of all worlds is a little harder. A slew of new condos in Austin at 70 Rainey arguably boasts the best location of any development throughout the city. 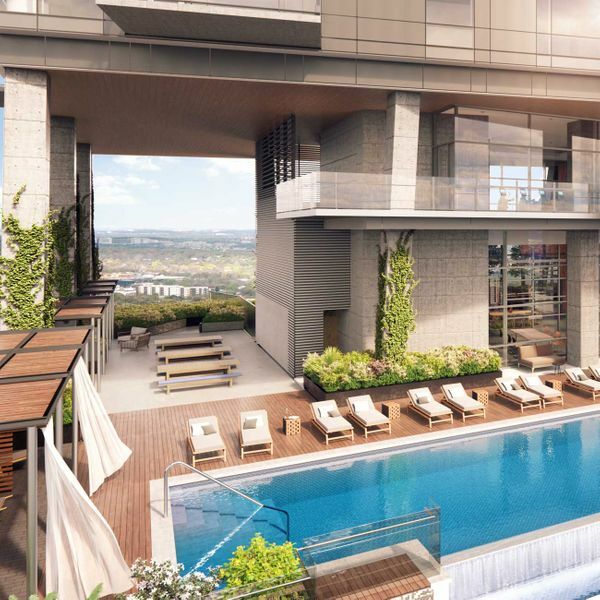 Here are a few reasons why 70 Rainey’s luxury condos are the place to be in Austin. 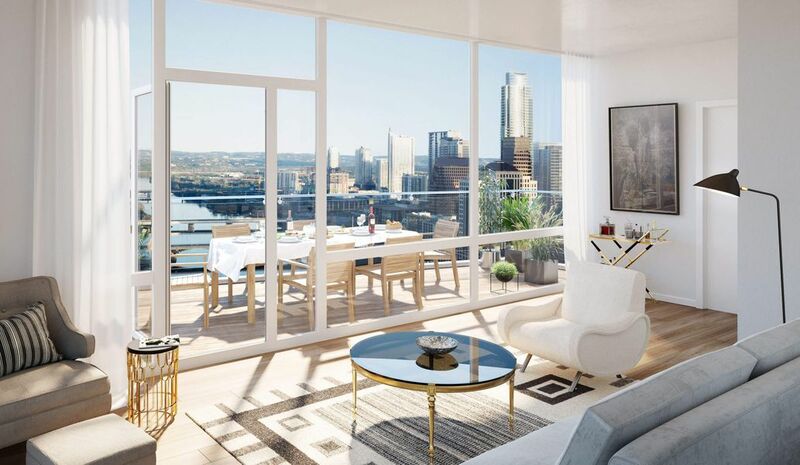 At 70 Rainey, Downtown Austin’s newest condominiums, no detail has been overlooked. The kitchen designs in 70 Rainey’s luxury residences, in particular, are elegant and tasteful. The quiet elegance of a solid-quartz backsplash sumptuous countertop speaks volumes about your taste. The ambient glow of the under-cabinet lighting creates a mood of relaxed, familial intimacy in these luxury condos. At this point in time, Austin has established a well-earned reputation as a leader in technological innovation and urban livability. As such, it's no surprise that many downtown Austin condos come equipped with the most advanced features on the market. The new luxury condos currently under construction at 70 Rainey are setting the standard for 21st century high-end living in Austin. Here's a quick overview of the advanced technology you'll find at 70 Rainey. 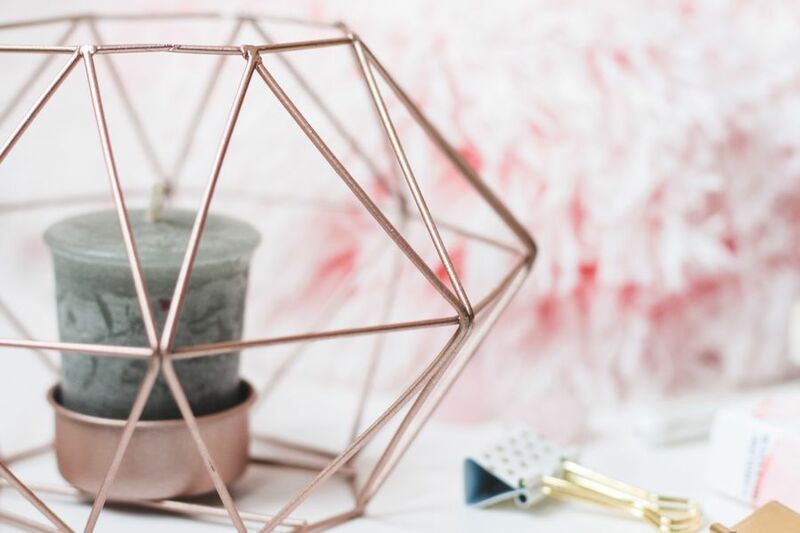 As the new year rings in, you may be looking for decorating ideas to brighten and refresh your interior. 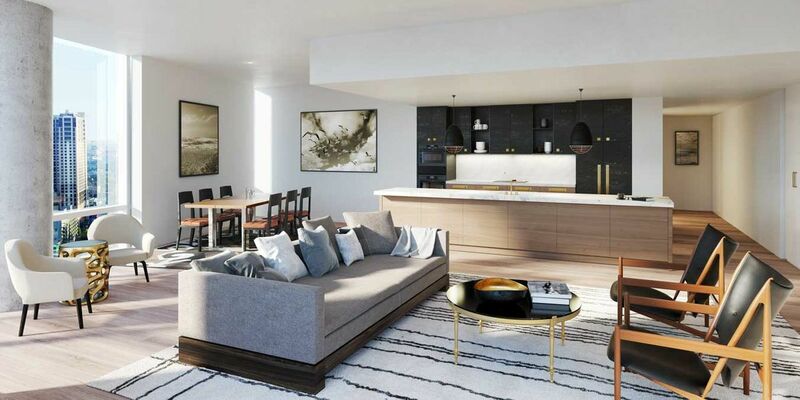 The new luxury condos of 70 Rainey in Austin, Texas, inspire the imagination. The large floor to ceiling windows, glass balcony panels and wide plank wood flooring bring in natural light and provide expanses of clean, open space to reflect your tastes. As you select your color palette, consider furnishings and personalize your space, here are a few trends that top designers are highlighting for interior décor for 2019. Austin, Texas, has been designated by U.S. News & World Report as the best place to live in the entire country for the second year in a row. Indexes used for this determination include the overall quality of life, affordability, the job market, net migration, and desirability. Your life at 70 Rainey is made a little easier with our dedicated staff of concierge that is on site 24/7. They allow you to focus on more important things such as coordinating business-related transactions and spending more time with loved ones. A welcoming atmosphere is also provided when our concierge is there, ready to help you in various ways and greet you as you enter and leave. When you live in luxury condos, you get to experience the comfort and amenities that go above and beyond traditional downtown living. Among Austin’s newest condo properties, 70 Rainey is in a class of its own, offering more than 31,000 square feet of amenities in our communal spaces. 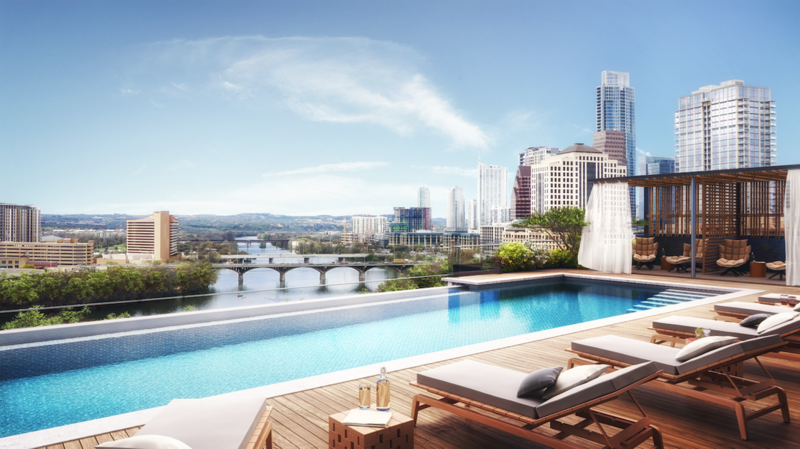 Explore some of the luxury features of Downtown Austin’s newest piece of the skyline. We invite you to come by the 70 Rainey sales gallery to experience our model kitchen and bath firsthand, view our floor plans via our interactive presentation and fall in ❤️ with your new home. The sales gallery is located at 78 Rainey Street. Monday-Friday 10-6, weekends 10-3. 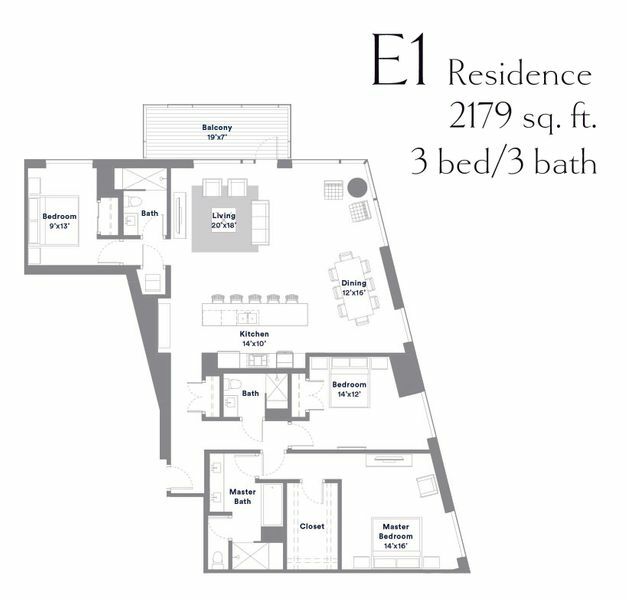 Our E1 floor plan is a very spacious 3 bedroom / 3 bathroom corner unit with floor to ceiling windows showcasing the amazing panoramic lake and city views. The open living, dining and kitchen are an entertainer's dream. Contact us at 512-476-7010 to make this home. 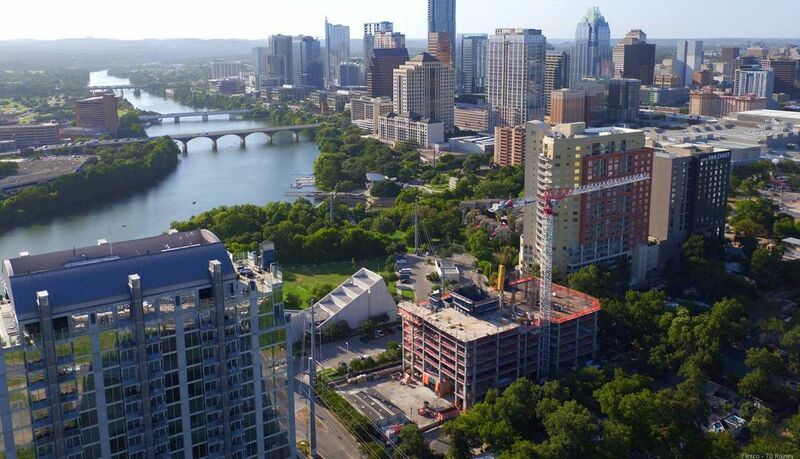 70 Rainey Street is quickly rising in the Austin skyline. The ten-story podium has been poured and the twisting columns are going in now. The 34-story residential tower's twist will give all 164 condos panoramic views of the Colorado River, the downtown skyline and the Hill Country beyond...Read More. Maintaining a healthy lifestyle is easy at 70 Rainey, which is conveniently located near multiple fitness studios, gyms, and outdoor trails. 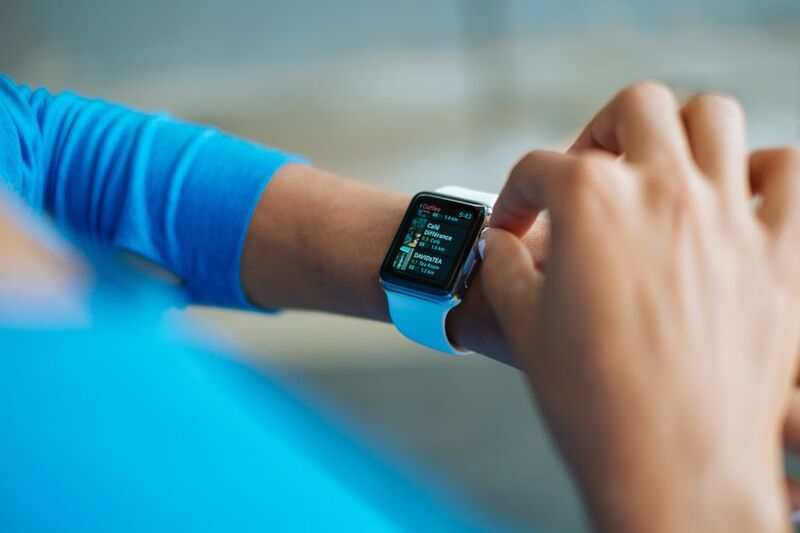 Whether you enjoy getting sweaty in the weight room or prefer a more relaxing yoga class, there are multiple ways to work on your fitness goals without having to travel too far from home. Read on to see some of our favorite fitness studios conveniently located near our luxury condominiums. Downtown Austin real estate has a lot to offer, especially when it comes to living in a condo. 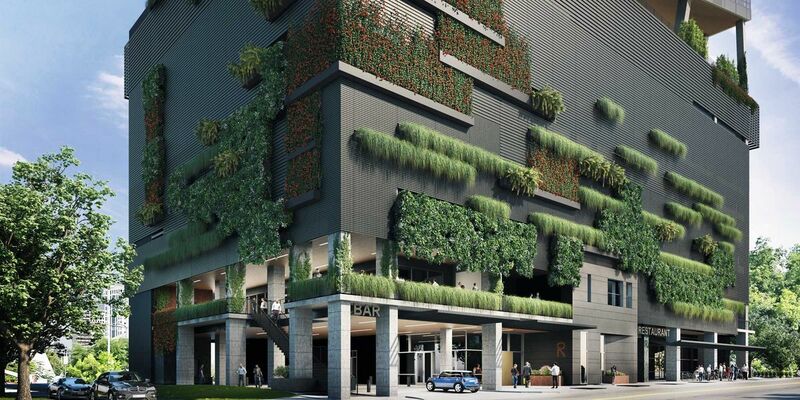 While “environmental sustainability” may not be the most exciting phrase you’ve ever heard, it provides a lot of value to home owners, and our Rainey Street condos don’t sacrifice any charm or elegance in pursuit of energy sustainability. Practicing yoga is a great way to enjoy the beautiful outdoors at our waterfront condos. Our luxury downtown condos have an outdoor space perfect for both beginner yogi’s and more advanced students, where you can enjoy the sunrise or sunset along with the beautiful view of downtown Austin. Here are some simple, key poses to get you started. One of Austin’s most popular weekend activities is going to get brunch at the newest restaurants around town. There are so many places to choose from, it can become a weekend ritual for some. 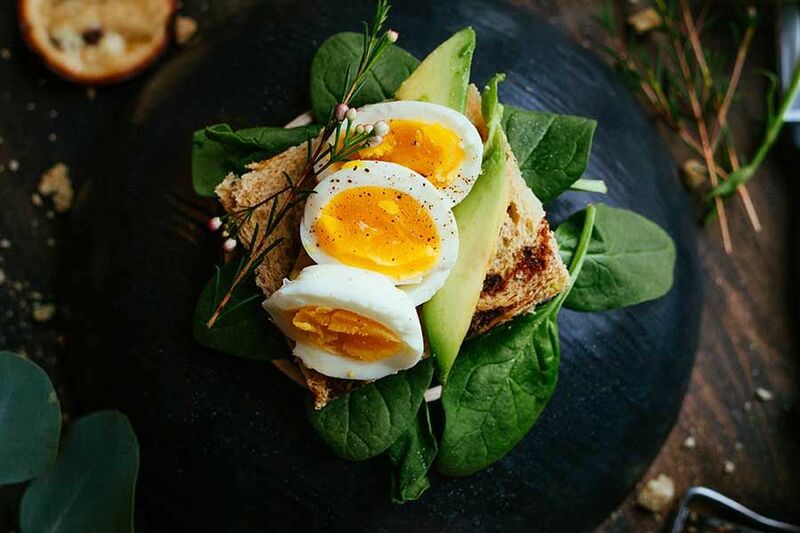 At our downtown Austin condos, we’re lucky to be surrounded by many of these delicious brunch spots, all within walking distance. We've rounded up our top five brunch options for whichever type of cuisine you're craving. Are you looking for some fun ways to spend your Sunday mornings? From our luxurious condominiums at 70 Rainey, the possibilities are endless. Whether you are looking for something relaxing, interactive, or just plain delightful, the surrounding Downtown Austin neighborhood has it all. 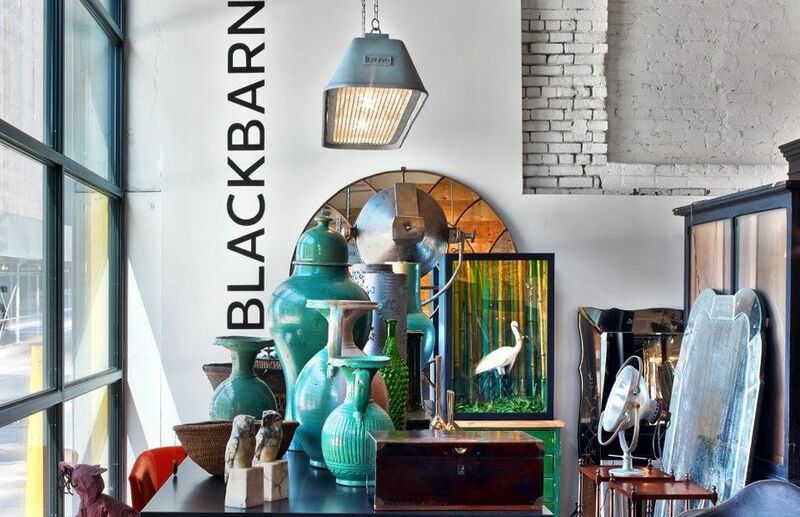 Read on to see just a few of our favorite Sunday morning activities, and visit our sales gallery at 78 Rainey Street today! 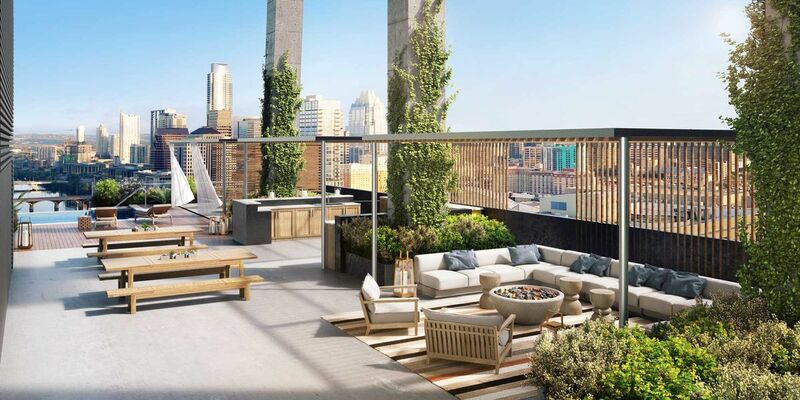 While owning a house has long been an important part of the American dream, lately that part of the dream has started to shift to living in a luxury penthouse. This shift has happened for a number of reasons. When you're deciding where to live in Austin, think about your favorite spots to enjoy your free time. 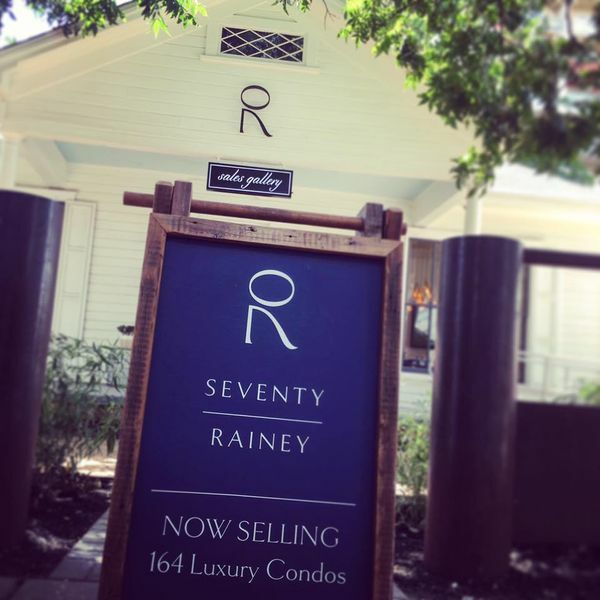 At 70 Rainey our luxury condos are located in the heart of Rainey Street, where exceptional restaurants and bars are just a few steps out your door. Take advantage of Rainey Street's incredible nightlife while you enjoy living in our luxury condominiums. 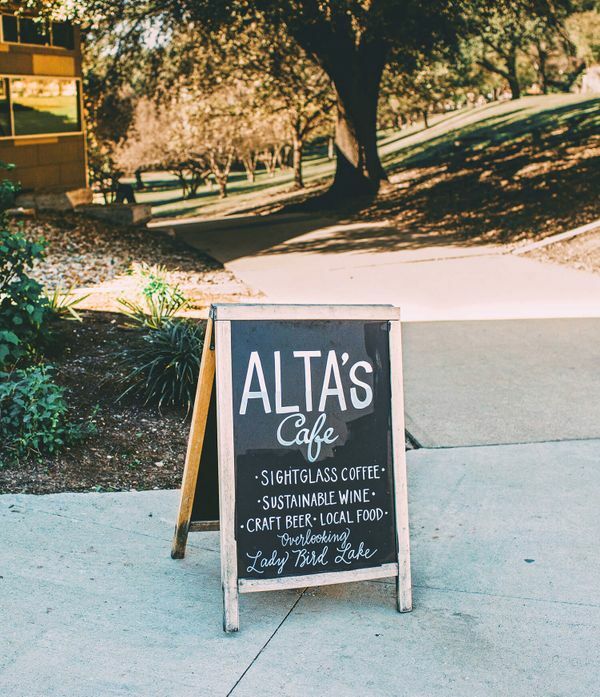 Read on to see a few of our favorite places to grab a bite and brew on Rainey Street and stop by our sales gallery next time you're in the area! Catch Some Tunes by Our Rainey Street Condominiums! As cities like Austin grow and the downtown scene begins to evolve for work, entertaining and more living spaces, more individuals are wanting to move into the downtown area. As the saying goes, land is always a good investment because they’re not making any more of it. While skyscrapers continue to grow taller and architects figure out how to fit more people onto less land, the fact remains that our population is continuing to grow, which means cities and suburbs will continue to expand, both outward and upward. We can't help but be excited about all that's happening in our neighborhood. 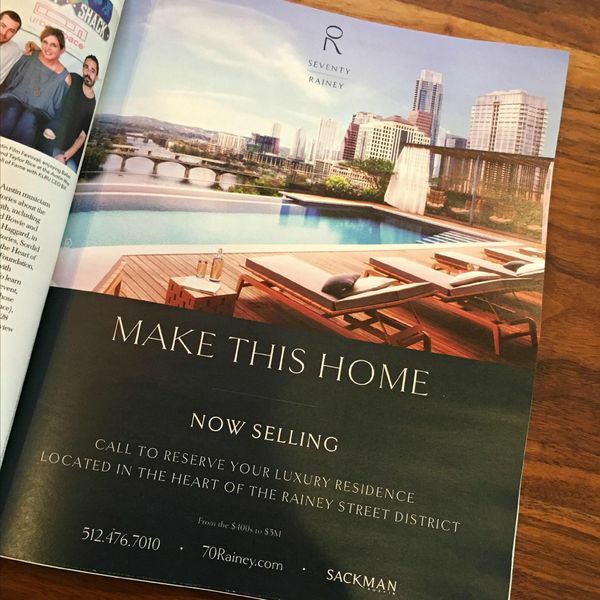 In case you haven’t ventured out there yet, Rainey Street is in the historical east end in downtown Austin and it's one of the fastest growing parts of downtown Austin real estate you'll find. Austin is a vibrant city with a wide selection of things to do including museums, shopping, restaurants and a celebrated live music scene. 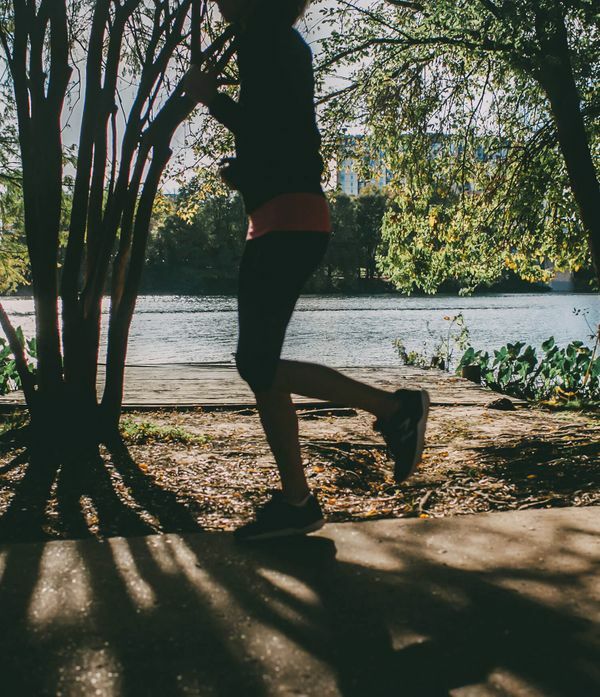 For fitness and nature-lovers, Austin also has numerous parks and several lakes where you can hike, bike, swim, and enjoy the outdoors. Luckily for our residents, our luxury downtown residences are near a variety of parks for you to explore. Keep reading for a list of some of the parks and trails near 70 Rainey where you can get your sweat on! The real estate market in Austin is one of the hottest in the country. 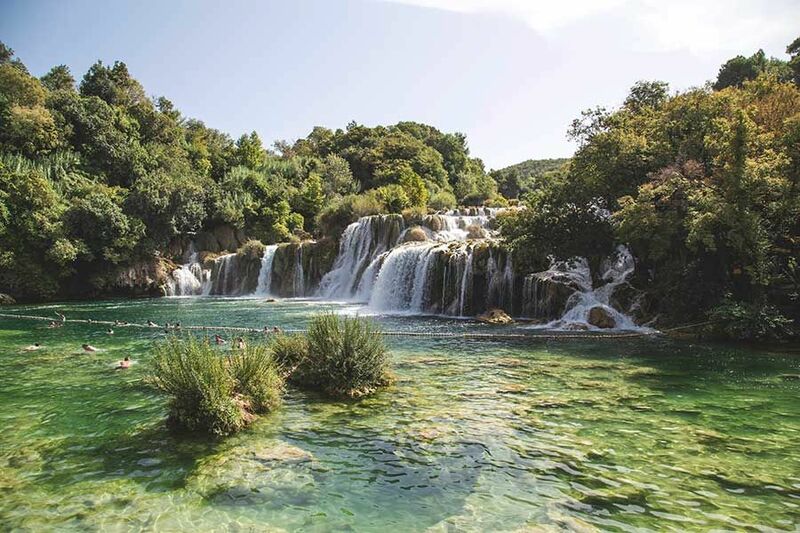 Although the number of new homeowners in town is growing, there’s no shortage of wonderful places to live in Austin. 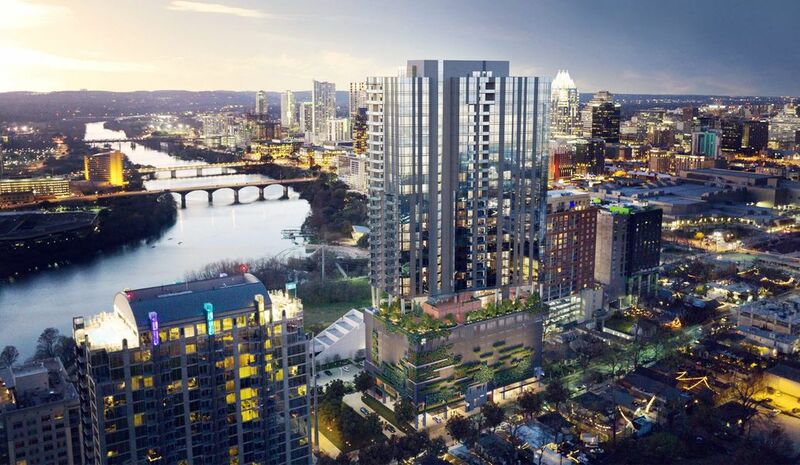 If you’re considering purchasing something downtown, look no further than the condominiums in downtown Austin at 70 Rainey. With our fantastic location, amazing amenities, and world-class architecture, we’re rewriting the book on high-rise Austin living. 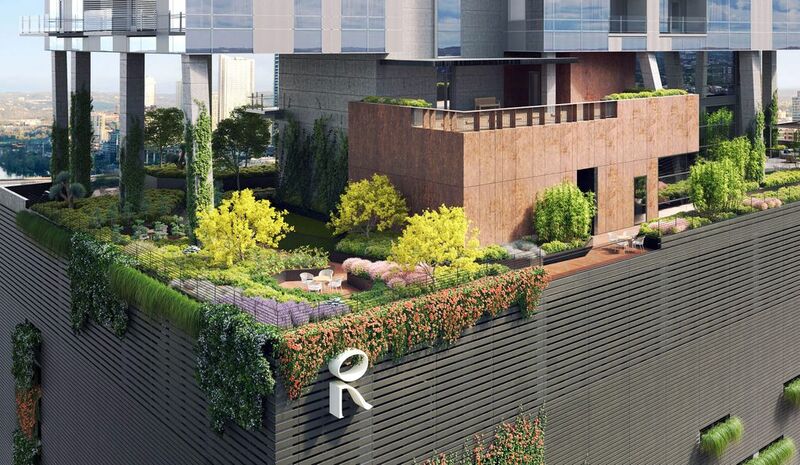 Read on to learn three exceptional features coming soon to 70 Rainey. With so many great food options available in downtown Austin, it can be difficult to choose where to go. Thankfully, 70 Rainey is near a variety of downtown restaurants, so delicious food and great atmosphere is never too far away. Keep reading to see some of our favorite restaurants to try near our high-end condos, and stop by our sales gallery today to learn more! On Saturday mornings in Austin, everything moves at a slower pace. It’s a great time to get outside and have the road to yourself, and it can also be a great time to see some attractions without fighting the crowds. Luckily for our future residents, 70 Rainey is just a walk away from a variety of Saturday morning activities. Read on to see some of our favorite early morning activities near our luxury downtown residences! Luxury condominiums in the new 70 Rainey are housed in uniquely designed architecture, which is a delight for both residents and architects alike. 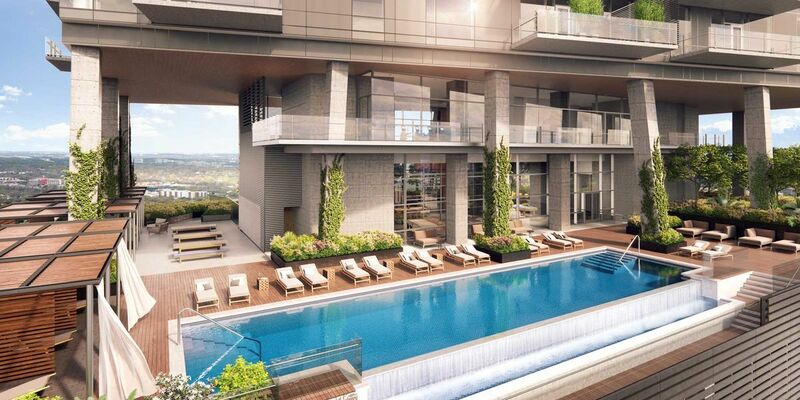 From over 21,000 square feet of beautifully designed outdoor amenity space, to world-class interior finish options, 70 Rainey is rewriting the book on luxury high-rise condominiums. 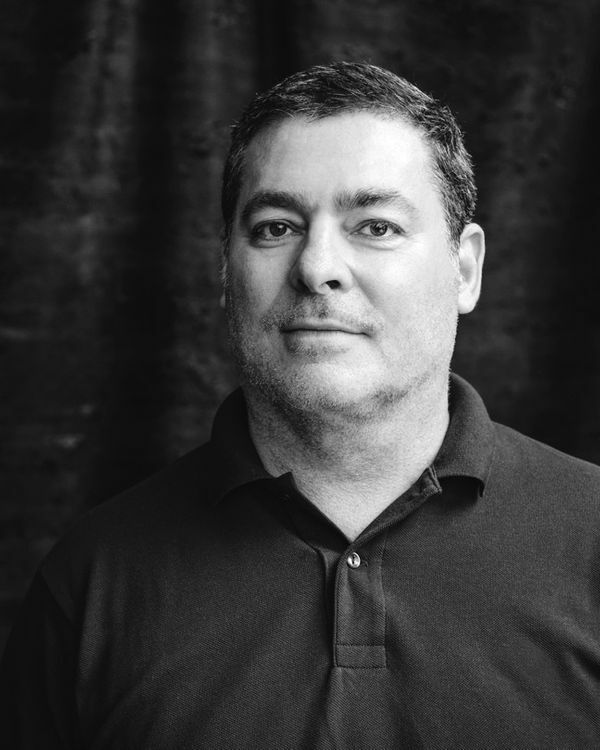 Read on to learn more about the architecture of 70 Rainey street, and meet the team behind 70 Rainey’s design. Anyone seeking out a healthy, active lifestyle would enjoy themselves in Austin. 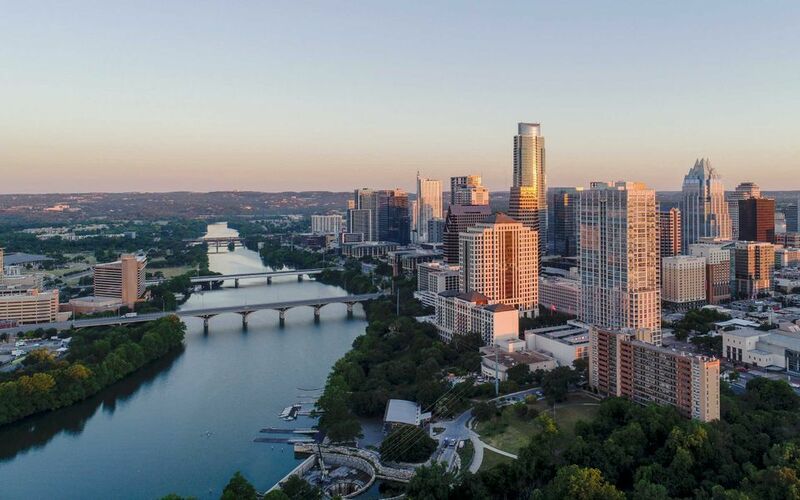 With many high quality of life indicators, including a vibrant downtown scene, a variety of outdoor activities, and healthy restaurants galore, Austin, Texas is the place to be! Here are five of the top ways to enjoy a healthy lifestyle in Austin. Looking for a new home in Austin, Texas? Luxury condos in downtown Austin are a hot commodity currently, which is largely due to our growing city. 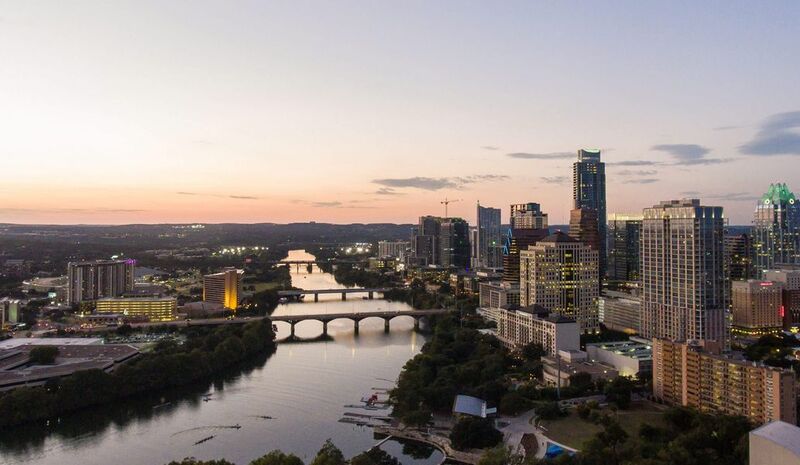 When you buy a condo in downtown Austin, you’ll be close to incredible nightlife, shops, work opportunities, outdoor recreation on Lady Bird Lake, and more! While you may be ready to make your move to downtown Austin, it’s important to ask your real estate a few questions to help you make a better buying decision. Read on to see what to ask, and contact 70 Rainey today to learn more about our new condos in Austin. Purchase Your Condo in Downtown Austin, Texas Now! 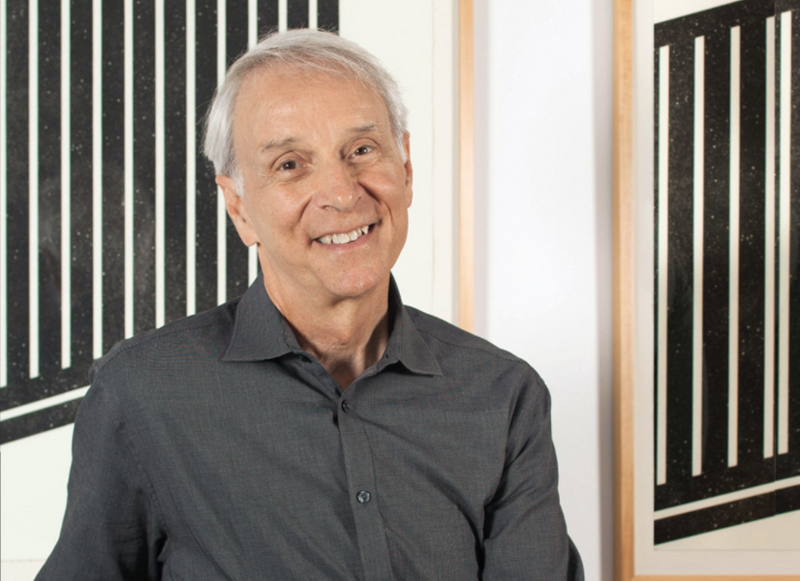 Have you explored real estate options and values in Austin lately? Known as the world's "live music capital", our vibrant city in the heart of Central Texas is so full of life and character, nearly anyone would love to be a part of it. Investing in downtown condos now could prove one of the smartest decisions savvy home shoppers can make. Read on to learn more, and visit 70 Rainey’s sales gallery today! More exciting construction progress is happening with the third level pour finishing up this week. The lobby and first floor restaurant spaces are going to be amazing. Speaking of amazing - check out those views to the west! Call our sales team today to lock in your unit and pre-construction pricing. The 70 Rainey landscape design and amenity deck was recognized by the Texas Chapter of the American Society of Landscape Architects at their 2017 Annual Conference. 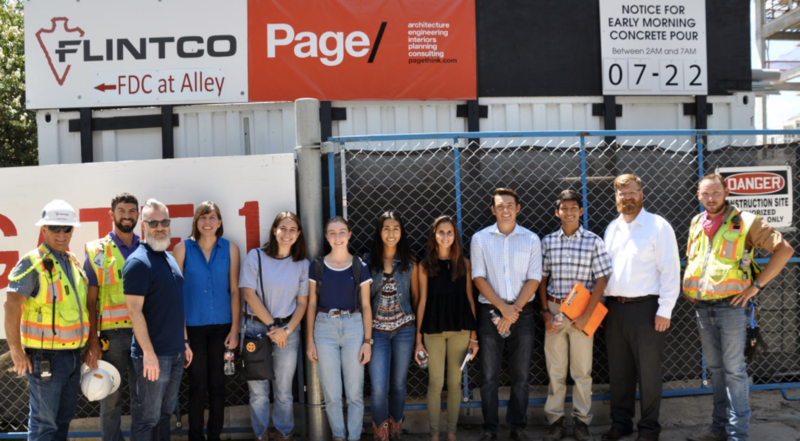 Design Workshop and 70 Rainey were the recipients of the Merit Award in the Design Unrealized - Residential category. 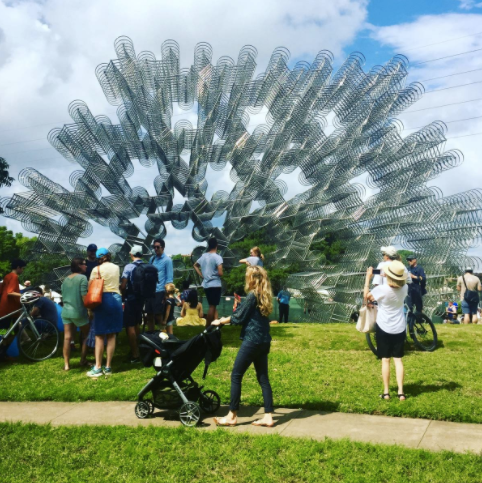 The free outdoor, art installation Forever Bicycles (2014), by Chinese artist and activist Ai Weiwei, is now open daily at the Waller Delta (74 Trinity, adjacent to the Boathouse). 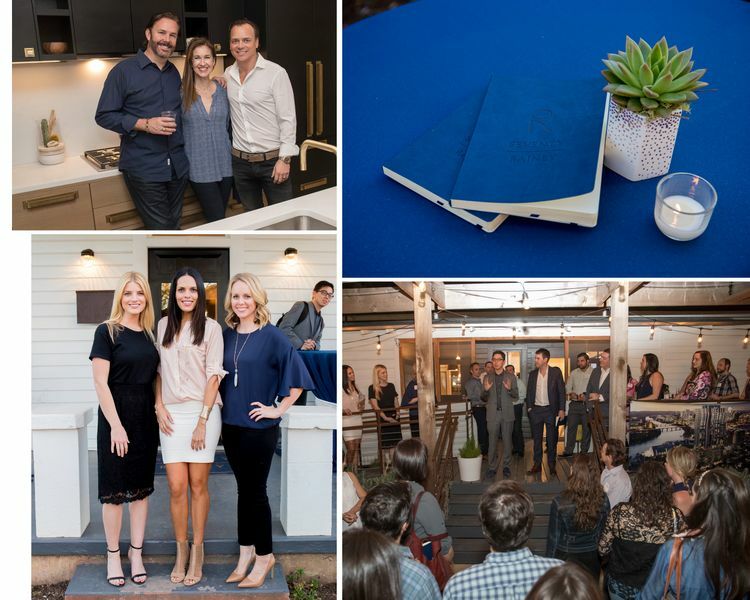 On May 10 2017, PRIME Lending hosted a backyard soiree at the 70 Rainey Sales Gallery. Guests sipped on Sourced Cocktails and danced the night away to the sounds of the The NightOwls. 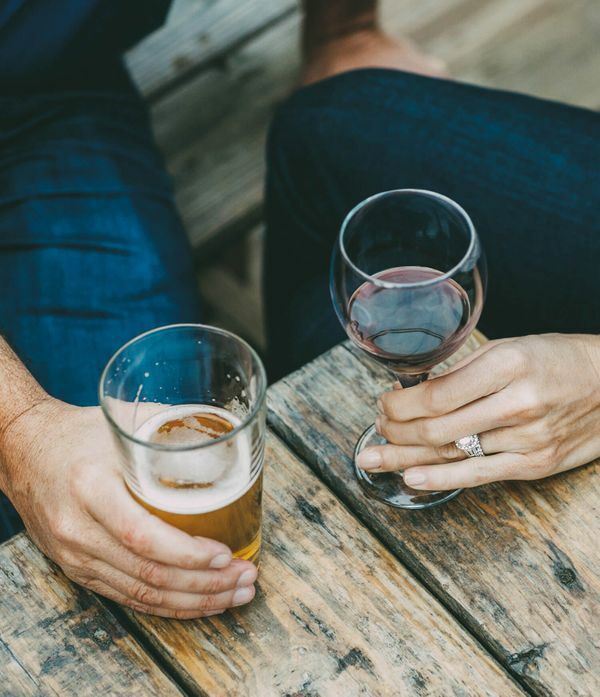 At 70 Rainey our Austin luxury condos are in the heart of the city’s historic district where you’ll find plenty of entertainment and dining options, including some of the best happy hours in town. 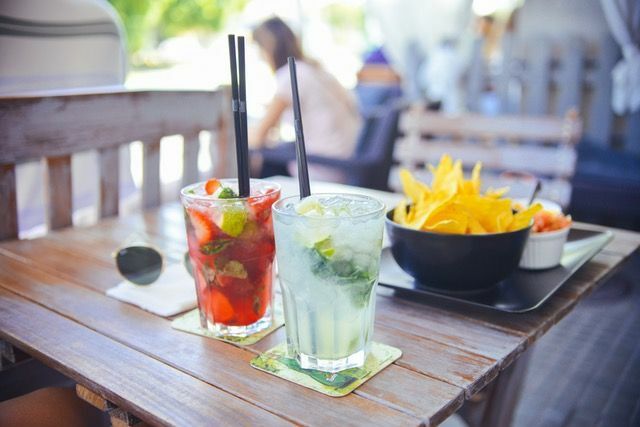 Check out our favorite food and drink specials right out our door. Stop by our sales gallery today to learn more about 70 Rainey, and check out one of our top happy hour picks on your way out! Some may say that one of the largest benefits of living in a house is having a yard, and enjoying more outdoor living space. However, others place more value on location, and would sacrifice outdoor space for the convenience and excitement that downtown living provides. At 70 Rainey, you don’t have to choose between outdoor space and a downtown location. Our luxury condos offer residents the chance to have plenty of outdoor space while still residing in the heart of the city. Read on to see how we bring the outdoors in with the amenities at our downtown condos! 70 Rainey is known for our phenomenal views and amazing amenities, including a 20,000 square foot outdoor space. Located on the 10th floor, our outdoor area will boast panoramic views of the Austin skyline and Lady Bird Lake, an infinity pool, and more. 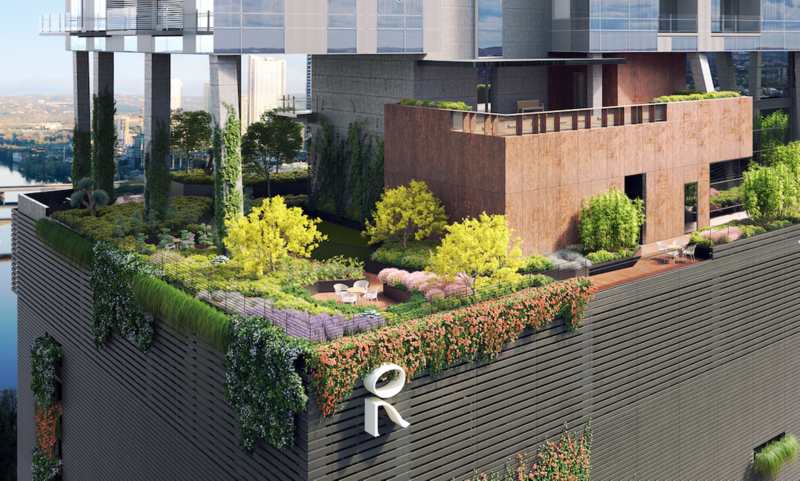 Read on to learn about 70 Rainey’s amazing outdoor amenities, and see how we’re leading the example in downtown Austin real estate. 70 Rainey, Austin's newest luxury downtown real estate, rises 34 stories into the city skyline with beautiful views from every side. When you become a resident of our Rainey Street condos you'll enjoy a variety of entertainment and dining options within easy walking distance. 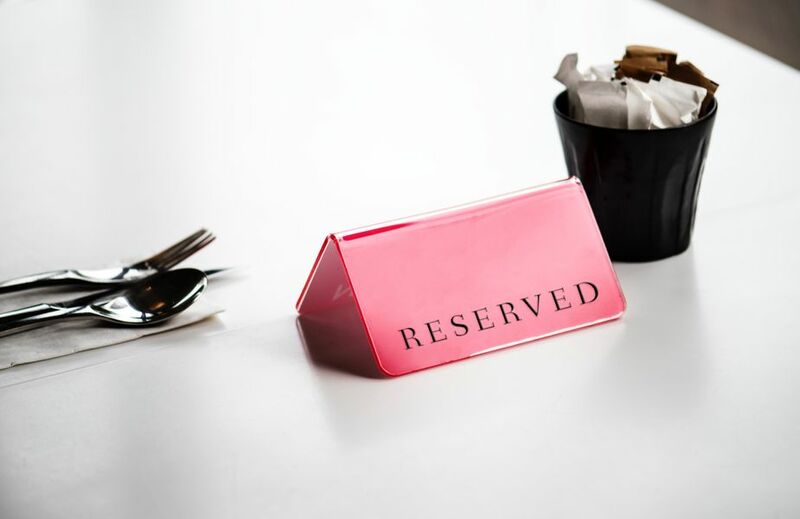 Here’s a list of our favorite restaurants near 70 Rainey – check them out today, and stop by to learn more about 70 Rainey’s amazing amenities and layout options. Interested in purchasing a luxury condo in Austin? See the top three reasons to reside at 70 Rainey, and contact us today to learn about our new condo community in the heart of Rainey Street. Have you seen Austin Way magazine’s latest issue featuring #Insta -Austin? Read about Austin’s biggest social media stars share their city secrets (#nofilter). See our ad on page 19. 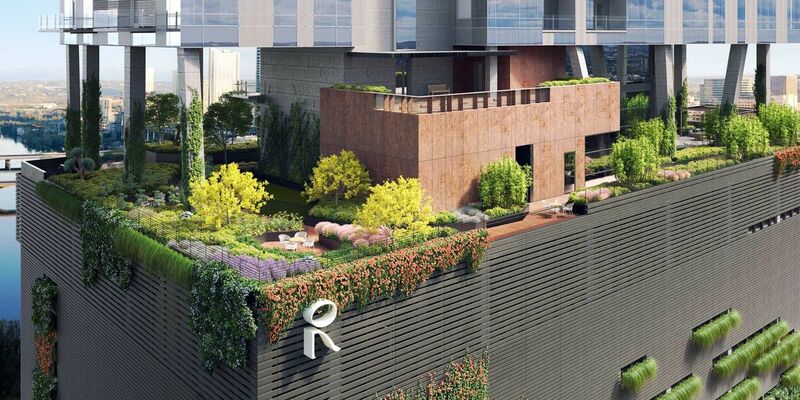 Austin Business Journal’s article “A park in the sky: 70 Rainey tower’s 10th-floor amenities are over the top”. 70 Rainey, the 34-story condo high-rise being built on Rainey Street, is shaping up as a unique addition to the downtown Austin skyline. Developer Sackman Enterprises this week unveiled more details — and renderings, viewable in the gallery attached to this story — of the project and its 10th-floor amenity deck with lush gardens, an infinity pool, yoga deck, outdoor lounge and kitchen, fire pit and 600-square-foot dog park. Renderings for Rainey Street’s newest luxury high-rise condominiums, 70 Rainey, were released today, Nov. 15. 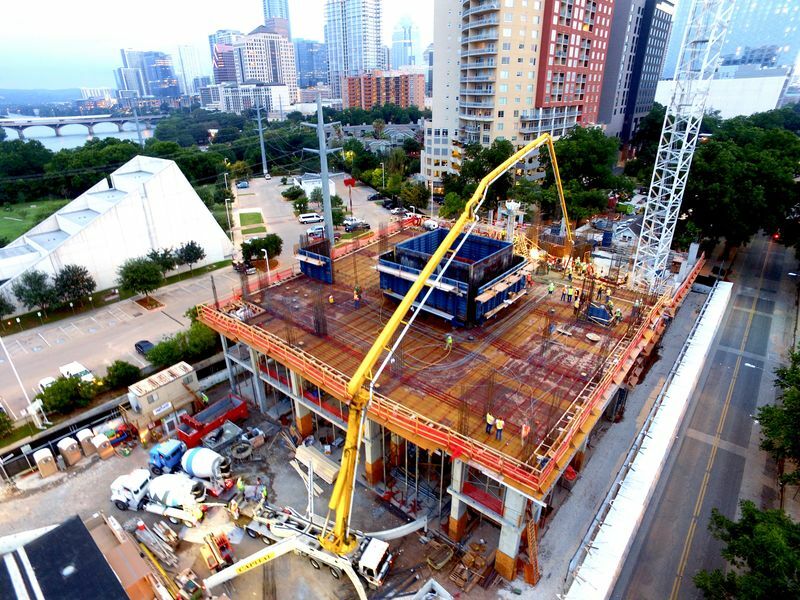 Construction at 70 Rainey St., Austin, began Aug. 2. 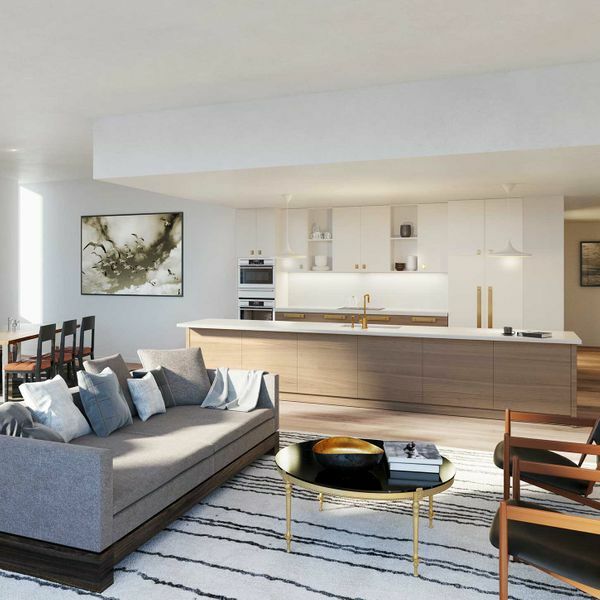 Real estate firm Sackman Enterprises is developing the condos, which will include 164 residences and are expected to be completed in the first quarter of 2018, according to a news release.